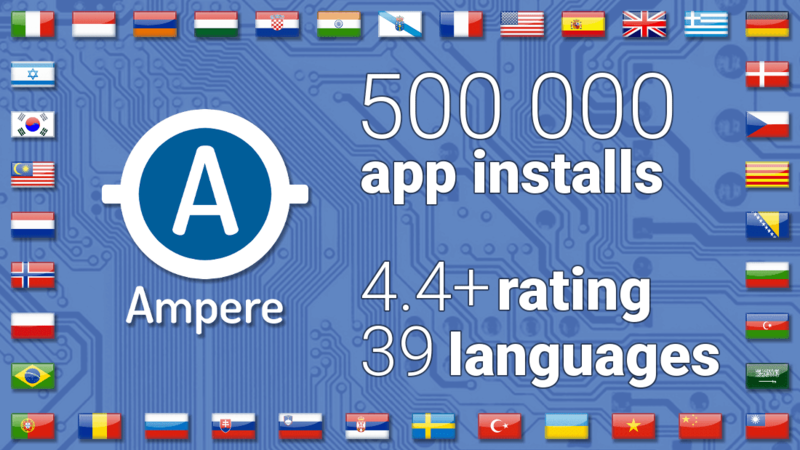 I am very proud to announce that Ampere have achieved to get over half million downloads at the Android Market. Ampere needed 7 months to reach this. 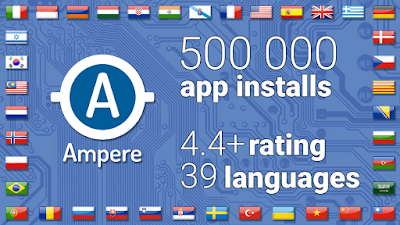 The app is localized in 39 languages and has more than 500 members on the Ampere Beta tester community. The 500 000 installs wouldn't be possible without the translators and the many-many people (on G+ and XDA Developers) who helped to test and to improve the app. The users were also very active. The app got more than 16 800 ratings and 4 300 reviews from the users. The average rating is 4.4. I want also to thank to everyone used Ampere and made possible this happening.